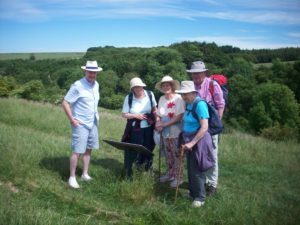 The summer weather was kind to the group on their trip to Yorkshire, with plenty of sunshine. 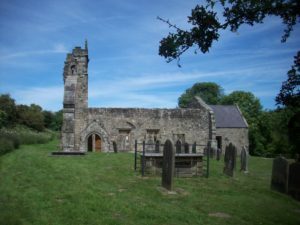 After setting off bright and early, a visit to a coffee shop was required to recharge batteries before driving through country lanes to begin the day at Wharram Percy, Europe’s best known deserted village. Settlement in the area can be traced as far back as 50BC. The village, which was occupied between the 9th and 16th centuries, has been the subject of research and excavation from the 1950s to 1990. The group learned that the demise of the village was not only due to the Black Death, but also many other factors. 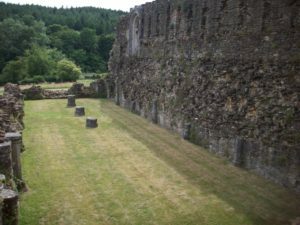 After a picnic lunch overlooking the remains of the vicarage, the group explored the ruins of St Peter’s Church, where several phases of development are visible. The group also found out about the excavation of skeletal remains, and what the villagers did to deal with the threat of the ‘living dead’. 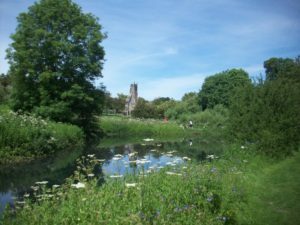 The mill pond was explored, followed by a walk through the village itself. 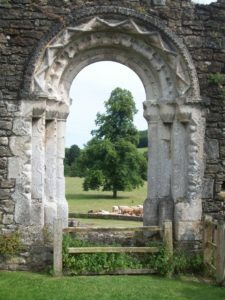 Following a visit to a nearby pub for refreshments, the group travelled the 20 minutes to Kirkham Priory via country lanes. Founded in the 1120s, the ruins of the Augustinian medieval priory are situated on the banks of the River Derwent. The area was used to test vehicles in preparation for D-Day and as such was visited by Winston Churchill. 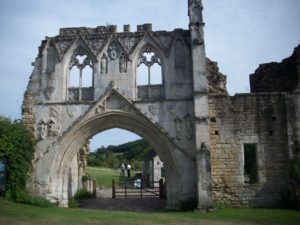 The remains of the Priory are very impressive. Well situated information boards and illustrations told the story of a different aspect of medieval life. There was plenty of time to soak up the atmosphere and enjoy the views (accompanied by a well-deserved ice-cream) before the long journey back to the Centre. A good time was had by all. All images courtesy of Catherine Rousseau Jones. Banner Image: a delightful herd of cows at Kirkham Priory bridge.